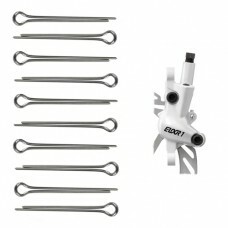 COMPATIBILITY: Avid Elixir 1 and other brakes with split pins used to secure the pads.Material: .. 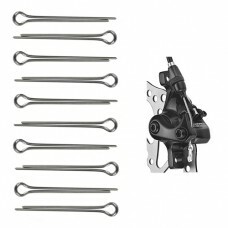 COMPATIBILITY: Bengal Ares 5, Ares Pro, Helix 7B and other brakes with split pins used to secure the.. 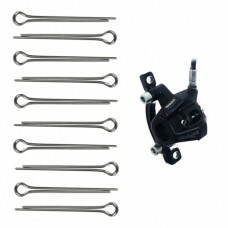 COMPATIBILITY: Hayes Prime Sport, Dyno Comp, Dyno Sport, Radar and other brakes with split pins used.. 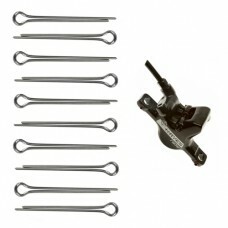 COMPATIBILITY: Magura Louise and other brakes with split pins used to secure the pads.Material: .. 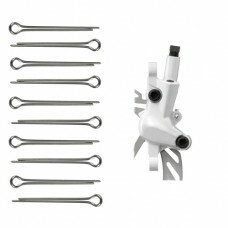 COMPATIBILITY: All Shimano brakes with split pins used to secure the pads.Material: Steel .. 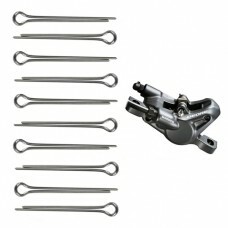 COMPATIBILITY: All Tektro brakes with split pins used to secure the pads.Material: Steel Retain..